Faith, family and football. The theme rocks and so did the best football athletes in the country who were here in Dublin, Ohio for Top Gun Football Camp last week. They played, learned, listened and watched. They were run, coached, lectured, ranked ... and screened. The Functional Movement Screen (FMS) developed by Gray Cook and Lee Burton, was the surprise star of Top Gun Football camp. The FMS uses seven movements to assess movement quality, identify imbalances and give a snapshot that helps coaches and parents move forward with information so they can implement programming to strengthen weaknesses in the athlete’s movement quality to achieve 1) optimal performance and 2) for injury prevention. The numbers were surprising. 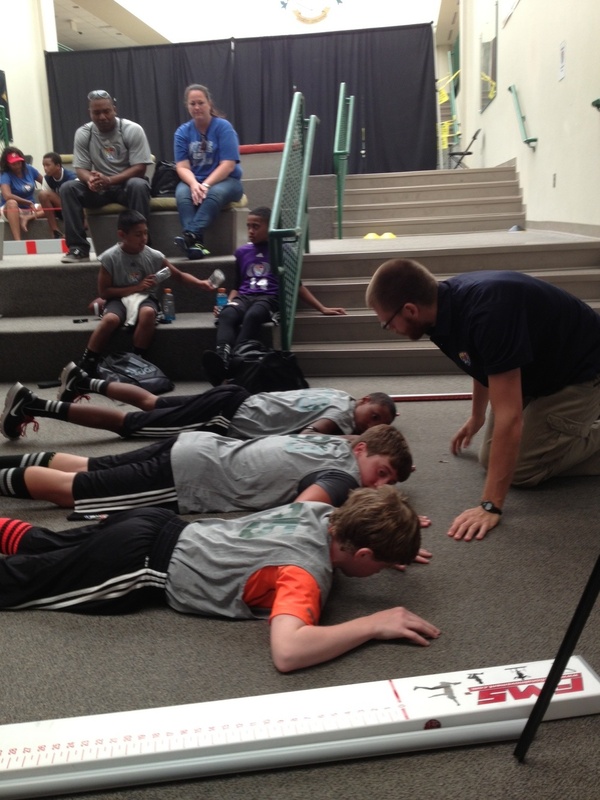 We screened more than 250 athletes. 17% passed with acceptable scores. 83% shouldn’t be on the field until their physical issues are addressed. Most of the athletes and parents saw the importance of moving well as the foundation for their specialized sport and general physical preparation in the weight room. The MovNat Ohio coaches are FMS-certified, and in working with some other local FMS pros, had the privilege of screening these athletes under the direction of a Doctor of Physical Therapy/Chiropractor on the FBU team. Our hope is that the FMS results will be life-changing for the football athletes ... that they will go back to their medical professionals and coaches and get any pain taken of first, implement corrective exercises to stabilize, mobilize and strengthen the areas that were identified as problems on the movement screen. If they follow through, and do the corrective work, be smart in their training by not overtraining, along with paying attention to nutrition, sleep and hydration, the sky is the limit for these football athletes. We look forward to watching their numbers soar when we re-screen them next year.